We had an amazing Christmas. And an scrummy Christmas dinner, our turkey was a free range bronze from our fab local butcher. I tried to not go too mad with extras like cheese and things but we still ended up with a fridge full of stuff which we’ve slowly gorged ourselves on since the big day. I have been running out of ideas for how to use things up, I hate to waste food. Today’s blog recipe is inspired by my mum. We had lunch at hers today before taking the little man swimming. She’d made some savoury scones using her cheese leftovers. Joshua happily tucked into a Stilton and cranberry one and it inspired me to use mine up in the same way. I’d only got Brie left so this is a recipe for Brie and cranberry savoury scones. I made half into adult sized and the other half into Joshua sized portions so that I can freeze them for snacks. Brie – use however much you want depending on how strong you want the taste. I used about a quarter of a whole one. Good handful of dried cranberries. 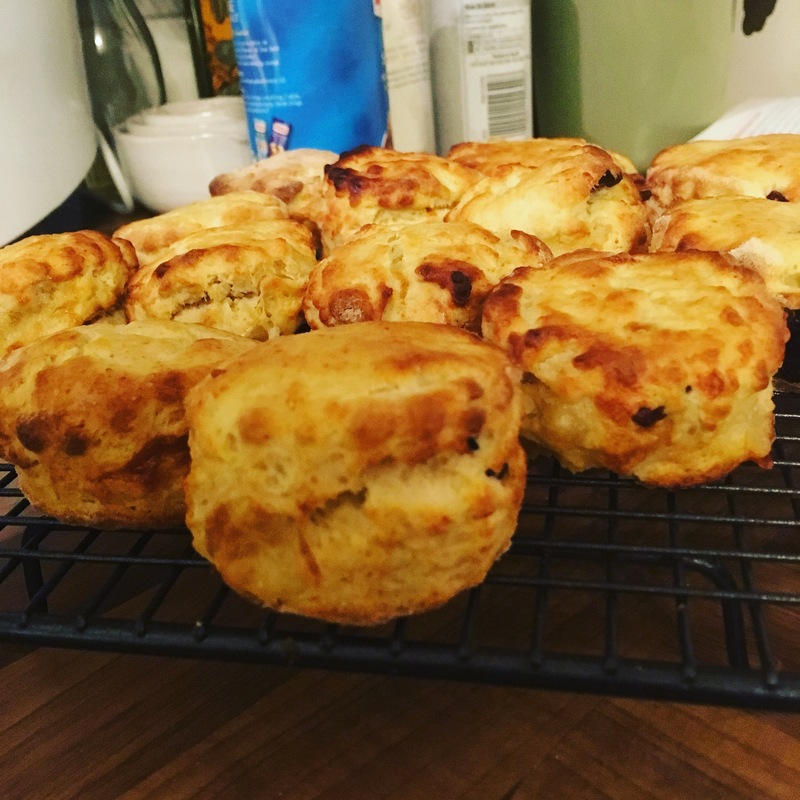 This entry was posted in Baking, Uncategorized and tagged baking, brie, brie and cranberry scones, christmas, christmas leftovers, cranberries, leftovers, scones, toddler snacks. Bookmark the permalink.